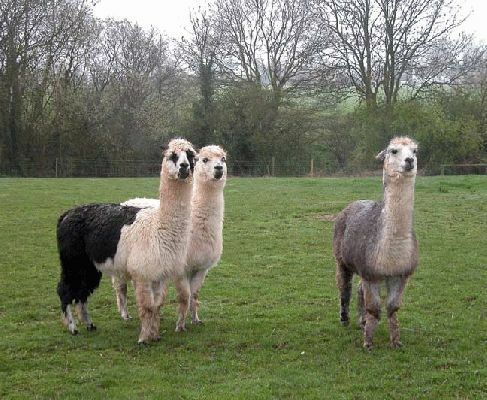 These three old gentlemen --- Batman, Brad, and McVit --- are all that's left from our small herd of alpacas. We decided, after our visit to Peru, that nobody in their right mind would pay �4,000 or more for an animal that has one cria a year (if you're lucky) and can produce enough fibre for a �45 sweater each season. But they sure are cute.